An excellent pick up, and a new seller. I see they are based in West Sussex, must contact them. Collery was denied a KSA on account of his offence. 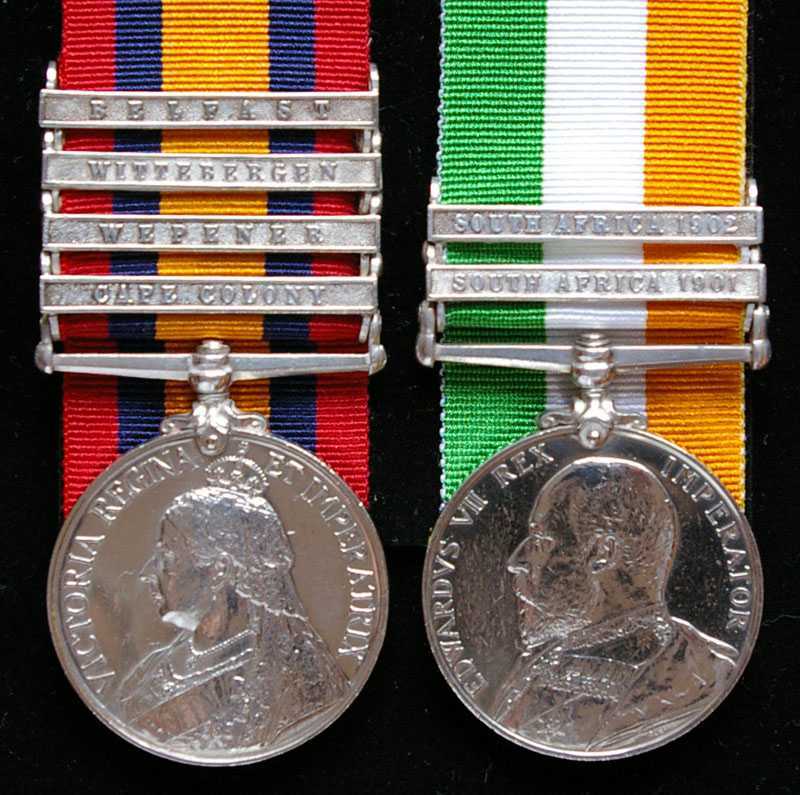 Have you actually recieved the medal yet, I wonder why it was so cheap, the initial should be B and not R, Bernard Collery was also 1002 Cpl Peninsula Horse. Yes, it arrived yesterday. I'll take some better pictures over the weekend. An excellent medal, congratulations for finding it, and thanks for showing it. Born in Oswestry, England, he served as 5020 Trooper in 2nd Brabant’s Horse in the defence of Wepener, April 1900. Discharged on 15 October 1900, he attested for the Imperial Light Horse at Green Point on 17 June 1901.